Posted: Wednesday, May 16, 2018. 10:21 am CST. By BBN Staff: Belize Music Week 2018 is being held in collaboration between the Office of the Music Ambassador and the National Institute of Culture and History (NICH) via the Institute of Creative Arts. It is Belize’s third annual Music Week and is being hosted at the Belize Civic Centre from May 14 to 19. This year’s music week will be focusing on the importance of music’s role in the country’s social and economic development. The workshops being held this year are encouraging artists to start using digital music platforms and other services to overcome traditional barriers. As a result, this year’s music is also focusing on the digitization of Belizean music as an investment to potentially transform the region’s musical industry. 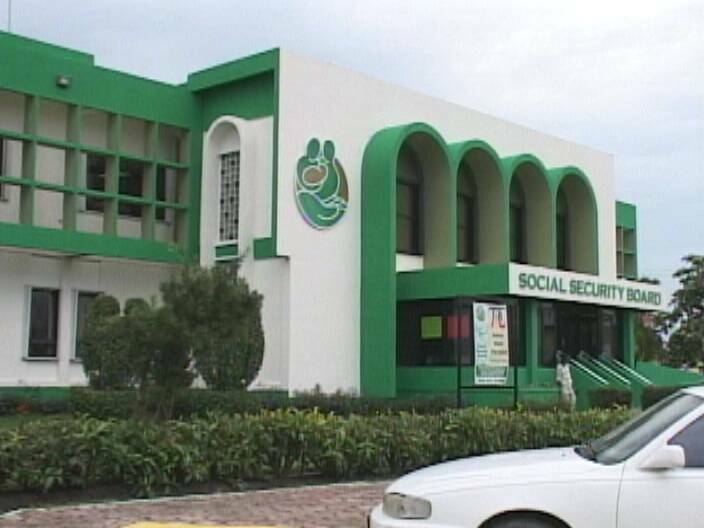 It is believed that this avenue can create a path to both sustainable economic growth and competitiveness. The hosts for this year’s music week are DJ Dalla and Miss Belize, Rebecca Rath. Accompanying them throughout the week are 20 of the best Belizean DJs and special guest, DJ Megan Ryte from New York’s Hot 97. · May 14-15 (Monday & Tuesday) – Music consultations on Music Business in the digital era, digital retail and digital marketing. · May 16 (Wednesday) – Music in School Rally for high school and junior high students to promote music as part of the education curriculum. Concert will feature notable Belizean artists such as Ernestine Carballo, Cono Bwai, TY, Dajah and the National Youth Orchestra of Belize. 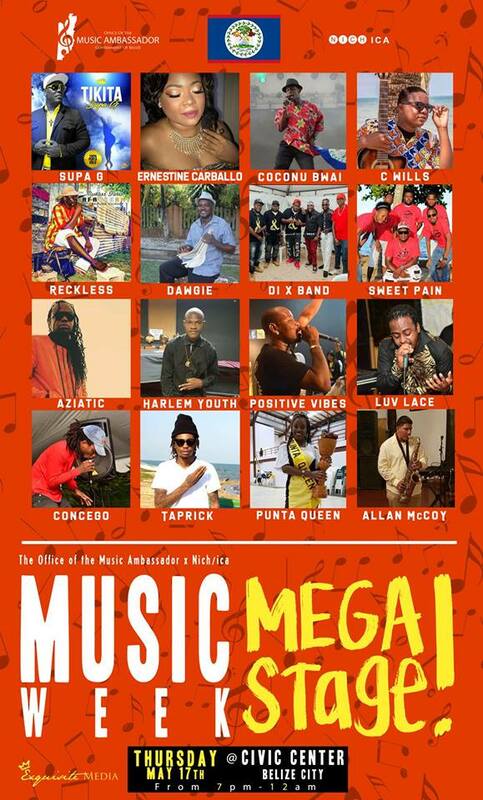 · May 17 (Thursday) – Digicell Mega Stage highlighting musicians who perform Belize’s native music such as Supa G, Ernestine Carballo, Coconu Bwai, C Wills, Aziatic, and 20 of our biggest artists. · May 18 (Friday) – Belikin Mega Stage highlighting musicians from Dancehall and Reggae genre such as TY, Dajah, TR Shine, Ras Indio, Denise Castillo and 20 of our biggest artists. · May 19 (Saturday) – The Fareed Ahmad Mega Stage highlighting musicians from Hip Hop and R&B with 20 of our biggest artists including King Kosa, Big Bang, Bre Z, Marlyn Vansen and featuring headliner international multimillion selling Grammy nominated recording artist, Desiigner. The Office of the Music Ambassador takes the opportunity to thank everyone for their participation and is looking forward to artists attendance at next week’s sessions.